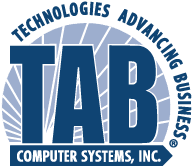 TAB® Computer Systems has been committed to small business computer and IT support in Connecticut and Western Mass since 1983. At that time, TAB was a software company focusing on programming for the new IBM PC platform. Over the years, we have evolved into a full service IT technology firm, with a large variety of hardware, software and service solutions including business VoIP phone systems.